In spite of nationwide efforts to educate and warn drivers about the dangers of getting behind the wheel while under the influence of alcohol, some individuals still continue to drink and drive. In many cases, this reckless behavior is enabled and encouraged by tavern owners or employees who serve minors or individuals who are already obviously intoxicated. If you’ve been injured in an accident that was caused by a drunk driver, you have the right to file personal injury claims not only against the intoxicated driver but also against any taverns or stores that might have provided them with alcohol. Contact a skilled drunk driving accident attorney at Robson Law Firm to learn more about how Texas law applies to your drunk driving-related personal injury case. If your claim is successful, you stand to collect compensation that can be used not only to address the property damage, medical expenses, and lost income associated with your injurious accident, but also help ease the pain and suffering that you are confronting. It’s important to understand that you have the right to file a civil suit against an intoxicated driver with whom you were involved in an accident, even if they are already facing criminal charges for the same incident. Regardless of the outcome of their criminal case, you or a member of your family should speak with an aggressive drunk driving accident lawyer as soon as possible about your injuries. Even if the person responsible is able to beat their criminal charges or get them thrown out of court, you should not be deterred from filing a claim against them. Hiring an experienced Texas DWI accident attorney to help you when filing a claim greatly increases the likelihood of you achieving a favorable outcome. Whether through negotiations or litigation, you can expect that we will do everything possible to see that your rights and interests are protected while your claim is pending. 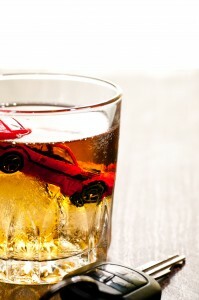 Many drunk driving-related personal injury claims also involve bar owners or alcohol vendors. Under the Texas Alcoholic Beverage Code, also known as the Dram Shop Act, these individuals can be held liable for the sale of alcoholic beverages both to persons who are already intoxicated and to minors. Talk to a Texas dram shop liability attorney today at Robson Law Firm if you have questions about whether or not the Dram Shop Act applies in your situation. As an experienced injury law firm, we can help you gather the evidence and documentation you need to bolster your claim and increase the odds of receiving the maximum financial compensation allowable under state law for your injuries. We look forward to hearing from you and aiding you in your quest for financial justice. Call (512) 345-8200 to schedule a consultation with a knowledgeable Austin DWI accident lawyer.